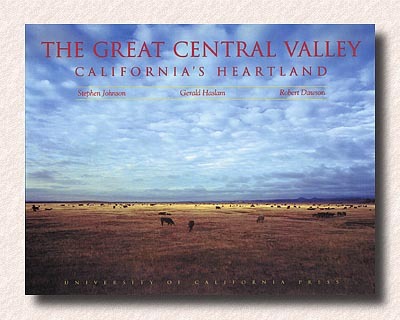 The Great Central Valley Project is an exhibit and book using landscape photography to examine this dramatically human-altered agricultural heartland of California. Photographers Stephen Johnson, Robert Dawson and author Gerald Haslam assembled this work as a project of the California Academy of Sciences. 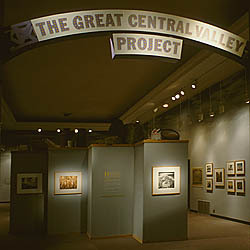 The exhibit-format book was published by University of California Press in 1993. This extraordinary book is exquisitely bound in a natural linen and contained in a finely crafted walnut and linen case. The title is embossed in a delicate green on both the outside case, spine and cover. The endpapers are natural mulberry fiber in a speckled soft green, coordinating beautifully with the embossed title. 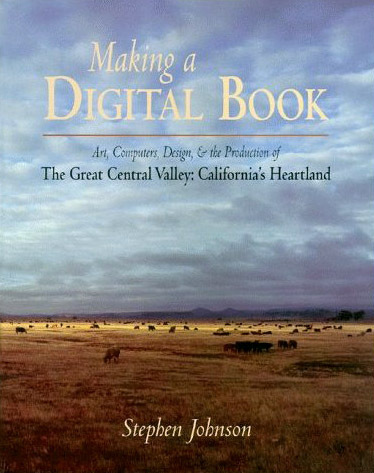 Art, Design, Computers and the Production of "The Great Central Valley: California's Heartland"
a film by Michael Dennis and Kevin White. 52minutes. Copyright ©2014, Stephen Johnson. All Rights Reserved.